Discover has one of the deepest benches of high-quality credit cards that you’ll find amongst the most popular issuers. From lucrative sign-up bonuses and rewards to cutting annual fees, Discover credit cards are packed with perks. Here are our picks for the best Discover credit cards. A clear cash-back leader with a laundry list of perks, including double cash back in the first year and other essential wallet-friendly features like no annual fee. The typical slate of Discover perks are included (FICO® Score for free, no foreign transaction fees, and more) with this card that's a good fit for cardholders with big gas & restaurant budgets. A fit for occasional travelers, this card's most valuable perks are unlimited 1.5 Miles per $1, no foreign transaction fees, and double Miles in the first year. If you don't have a credit history or are rebuilding credit, this card should be on your shortlist. We've simply not found a better student credit card. Our fee-wary stance is even more solid for student credit cards, and this offer still includes premium rewards with no annual fee. Our enthusiasm for Discover's student cards carries over to this offer as well, which varies from its cash-back cousin in that it earns premium rewards for everyday spending to fuel both your car and stomach. Discover is a unique credit card issuer that often gets left out of credit card discussions, even though the issuers offers some of the best credit cards. However, they have a number of valuable credit cards on offer, whether you’re looking to save up travel miles, get some cash-back rewards, or pay off debt using a balance transfer. This guide explains everything you need to know about Discover and their best credit cards. Can I have more than one Discover card? Do most places accept Discover? Which Discover credit card is right for you? We’ve pored over more than 300 credit card offers and 6,000 data points here at The Ascent in order to develop our credit card philosophy, which is designed to help you use credit card offers like these to your advantage. Our writers have published over 2,500 personal finance articles and have been featured on AOL, Yahoo!, and MSN. 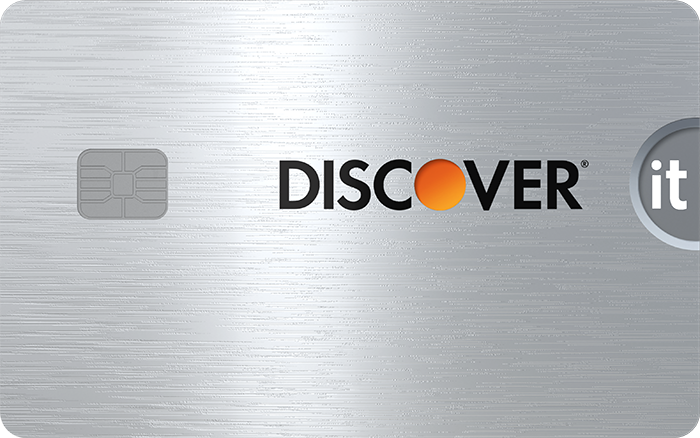 Discover is unique in that it is both a credit card issuer and a payment processing network, similar to American Express. While Visa, Mastercard, and American Express are the three biggest issuers in the United States, Discover falls in at number four. Ever since introducing their “cash-back bonuses” program in the late 1980s, Discover has been a pioneer in the world of cash-back rewards. They were also one of the first issuers to offer credit cards with no annual fee, and to this day, the best Discover credit cards come with a $0 annual fee. Discover offers something for everyone, whether you’re a frequent flyer with excellent credit or a student with no credit history at all. Here’s an overview of the different types of credit cards on this list. Discover’s travel rewards credit cards offer rewards in the form of “miles” that can be redeemed for travel purchases. These credit cards are great for people with good credit who travel often or want to travel more. As one of the first issuers to offer cash-back rewards, Discover has some fantastic credit cards that will offer you cash back on every purchase you make. These cards are perfect for people with good credit who want easy-to-redeem cash rewards. You can qualify for a Discover credit card even if you have bad credit. Discover’s secured credit cards are secured with an initial deposit rather than your credit score, and they’re specifically designed to help you build or rebuild your credit. These cards have no annual fee and a low security deposit required. It’s important to build credit early on, but it’s hard to qualify for credit cards when you don’t have a credit history. Luckily, Discover’s student credit cards are geared toward people with a skimp credit history. They’re a great way to build credit, and they even offer rewards and perks like cash for good grades. Discover’s balance transfer credit cards offer consumers the chance to transfer over an existing balance from another issuer and pay it off at a 0% introductory APR for a set period of time. As long as you pay off your balance before the promotional period ends, this is a great way to get out of debt without paying a penny in interest. While you can have more than one Discover card, Discover does limit cardholders to two cards at a time. Even then, your applications must be spaced out over a 12 month period of time. If you got your first Discover credit card in January of 2019, you have to wait until January of 2020 to apply for your second. Once you have your second Discover card, you’ve reached your limit. Additionally, you can only have one student credit card. One of the most commonly asked questions when it comes to Discover is whether or not you can use their credit cards internationally. It is true that Discover is not as widely accepted, especially abroad, as Visa and Mastercard. American Express is accepted by fewer merchants than Discover both in the United States and globally. That being said, American Express coverage is more widely spread out globally, and fewer countries accept Discover than American Express. Luckily, Discover has been partnering with a range of global partner networks, such as UnionPay, JCB, and Diners Club, to ensure that your card works wherever you go. That doesn’t mean they beat out Visa or Mastercard, but they’re working on it. It is still difficult to use Discover cards in Mexico and most of Europe. One of the main reasons credit card enthusiasts love Discover’s rewards program is their rewards match program. Every rewards credit card listed above, including their secured and student credit cards, comes with an introductory offer: Discover will match all of the rewards you earn during your first year as a cardholder. This includes cash-back and miles-earning cards. You don’t have to sign up for the program, and there is no limit to how much they will match. This means that for your first year as a cardholder, a 5% rewards rate is essentially a 10% rewards rate. If you earn 1.5 Miles per $1 spent, you actually earn 3 Miles per $1 spent during your first year. With rewards rates that are already at standard levels, this program pushes Discover’s rewards credit cards above much of the competition, at least for the first year. Discover’s travel rewards program may be limited -- there’s only one credit card that earns Discover’s “Miles” -- but it is easy to both earn and redeem rewards, which is rare. These aren’t miles in the traditional sense because they aren’t associated with any specific airline and can be redeemed for travel purchases other than airfare. It makes more sense to think of them as travel points. What are Discover it® Miles worth? Discover it® Miles have a flat rate value of $0.01 each. Unlike other reward programs that assign a set value to their points for travel redemptions but a diminished value for other redemptions, Discover it® Miles are always worth $0.01, no matter how you redeem them. While this means you’re not going to find those “hidden gem” redemptions that squeeze $0.05 out of each point, you’re also never going to get stuck with disappointing, low-value redemption options that only get you $0.005 out of each point. How can I redeem Discover it® Miles? There are two ways to redeem your Miles: as a credit toward travel purchases or as cash back. Regardless of the option you choose, your Miles are always worth $0.01 each, so there are no “good” or “bad” redemption options. There is also no minimum redemption requirement. If you’d like to redeem your Miles for travel purchases, you simply select any travel purchase you’ve made on your statement within the past 180 days and choose the number of miles you want to receive. You’ll get a statement credit equal to the number of Miles you selected. Eligible travel purchases include flight tickets, hotel stays, taxis, car rentals, tourist attractions, and more. For folks who don’t travel and prefer cash back, you can also redeem your Miles for $0.01 each as a direct deposit into your bank account. In order to help you compare the offerings of each Discover credit card, we’ve created the table below, which details the rewards and other benefits. It’s worth noting that none of these credit cards offer a sign-up bonus, and none of them have an annual fee. If it’s high rewards and low fees you’re after, it’s crucial to select a credit card that fits with your spending profile and credit score. Luckily, Discover’s straight-forward card offerings make it pretty simple to choose. Unless you’re a student, you’ll want to go with the first option. It’s a solid secured credit card with low fees that will help you build your credit back up. If you are a student, you should look into the second or third option. The Discover it® Student chrome is good for people who spend close to or more than $1,000 each quarter on gas and dining. Otherwise, you should look into the Discover it® Student Cash Back, which will get you a higher rewards rate on rotating bonus categories. Recent categories have included gas stations and wholesale clubs, grocery stores, restaurants, and Amazon.com. 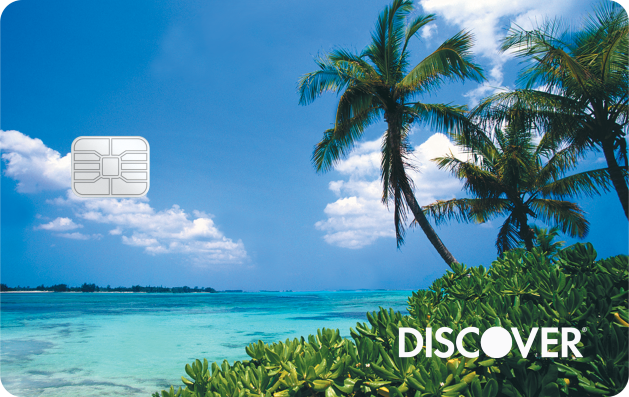 The Discover it® Miles is the obvious choice here as the only travel rewards credit card on the list. The Discover it® Cash Back is great if you know you’ll spend close to or more than $1,000 each quarter on gas and dining. Otherwise, look into the Discover it® chrome, which provides a higher rewards rate for rotating bonus categories, which can include restaurants, wholesale clubs, Amazon.com, and grocery stores. The Discover it® Balance Transfer is a solid option. Keep in mind that you will have to pay a fee on the balance transferred. However, the fee could be well worth it given that you’ll have 18 months to pay off the balance without interest. The Motley Fool has no position in any of the stocks mentioned. We’re firm believers in the Golden Rule. If we wouldn’t recommend an offer to a close family member, we wouldn’t recommend it on The Ascent either. Our number one goal is helping people find the best offers to improve their finances. That is why editorial opinions are ours alone and have not been previously reviewed, approved, or endorsed by included advertisers. Editorial content from The Ascent is separate from The Motley Fool editorial content and is created by a different analyst team.